The Clothing Closet is a neighborhood thrift store that provides high-quality, affordable clothing and household items to everyone from families in need to shoppers looking for a great value. Our store welcomes anyone interested in shopping at discounted prices and donors who wish to support our efforts in providing items to the community. Individuals who find it difficult to afford clothing for themselves or their families are encouraged to access services through the Family Center to receive a Shopping Pass, which will allow shopping at no cost. The Clothing Closet is open from 10:00 am to 3:30 pm Monday through Friday. All revenue generated in the Clothing Closet is used to support the program. Our goal is to provide access to free clothing for families in need. Last year, on average, shopping passes were valued at $52.65 - giving families in need an opportunity to receive basic needed items at no cost. 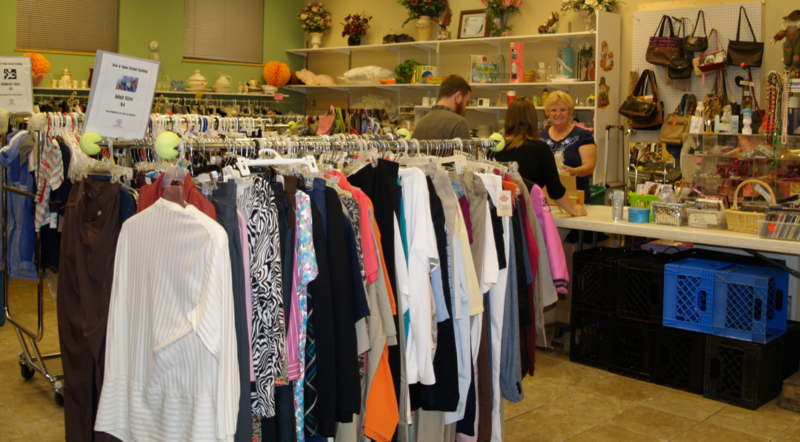 Shopping at the Clothing Closet supports the work that we do at Brighton Center. Individuals and families who are requesting a Shopping Pass must see a Resource Advocate through Emergency Assistance.